Every week The Friday Five will bring you interesting news and information from around the insurance industry. This week: distracted driving study, genetic testing for life insurance, women pay more for auto insurance. Nearly eight in 10 consumers talk on the phone while driving and more than 30 percent admit to having been in a near-miss crash because they were distracted. 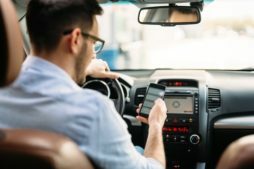 Also, although distracted driving poses potential liability risks for companies, many expect employees to remain connected and do little to discourage such behaviors behind the wheel. What are the common distractions? Texting and emailing, recording videos, and even online shopping! Read more in Distracted Driving Habit Is Proving Tough for Americans to Break on InsuranceJournal.com. Excerpted from Genetic testing for life insurance targeted by Florida lawmakers in the Tampa Bay Times: Amid privacy concerns and dramatic growth in genetic-testing products, Florida could ban insurance companies from using genetic information in canceling, limiting or denying life-insurance policies or long-term care coverage. A federal law prevents health insurers from using genetic information in the underwriting process and in setting premiums. But the prohibition doesn’t apply to long-term care coverage or life insurance. Surprise! Women pay higher auto premiums than men in half of U.S. Using gender as criteria to price car insurance is now prohibited in six states, but women paid more than men for car insurance in 25 states in 2018, according to a new report from insurance comparison site The Zebra. The report also showed that the disparity between what women and men pay is greater in states where women pay more for car insurance. Read more in Alicja Grzadkowska’s Insurance Business America article, Women pay more than men for auto insurance in 25 states – study. Excerpted from Businesses should be mindful of their HNOA exposure amid commercial auto woes, by Bethan Moorcraft for Insurance Business America: In today’s heavily litigious commercial auto environment, accident claimants are heading to court to seek damages from as many sources as possible. While the at-fault driver remains the prime target of a claim, if that driver was carrying out a work errand at the time of the incident, the employer who charged the driver with that errand can also be sued for liability. That’s why it’s vitally important for businesses with any sort of auto exposure to purchase hired and non-owned auto (HNOA) insurance. Sears has ended life insurance benefits for eligible retirees. The life insurance benefits were canceled March 15, though some retirees didn’t receive letters notifying them of the change until after that date. It’s unclear how many Sears’ retirees will lose coverage, but the company paid about $16.6 million in premiums for eligible retirees for the year that ended Dec. 31, 2017, according to a report on benefits received by retirees. Read more in Lauren Zumbach’s Chicago Tribune article, Sears ends retirees’ life insurance benefits.